UK organisation Shutter Hub has relaunched a camera amnesty, aimed at helping homeless photographers to develop their skills. The amnesty welcomes any photo kit that could be of use to a photographer. 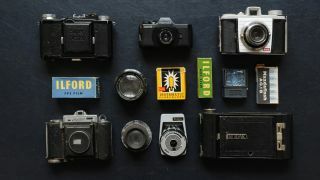 This includes both film and digital cameras, from point-and-shoot models through to SLR cameras, through to cameraphones, film, memory cards and bags. Shutter Hub, which provides opportunities, support and networking for creative photographers across the world, has partnered with the charity Accumulate for the amnesty. The two have recently joined forces on workshops, portfolio reviews at The Photographers' Gallery in London, and exhibitions at The Guardian's headquarters. “The partnership with Shutter Hub extends beyond their expertise and networks (which are amazing anyway) as they also provide us with expert tutors for the workshops and for the portfolio reviews with the Accumulate participants," explained Marice Cumber, Director of Accumulate. The charity empowers young, homeless people through creativity, helping them to build their skills, develop their wellbeing and improve their lives through creative projects. It also offers fully paid scholarships for participants to continue their creative learning. Thanks to a previous amnesty, the charity has been able to put together a camera library, which is accessible to homeless photographers in London. The success of the this has ensured that everyone on courses run by the organisation has had the necessary equipment to be able to participate. To find out more about the amnesty and to donate your kit, head over to the Shutter Hub site.